Need help with your stroke? Want to learn how to swim front crawl? Want to join a regular swim group? 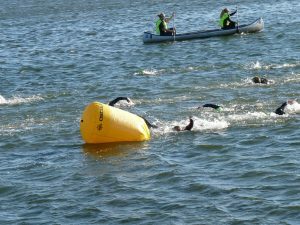 Want to do a triathlon but can’t swim? Want some swim sets to swim faster or for longer or both? Mark Avil is a level 2 swim and triathlon coach who has worked with non-swimmers, young swimmers and older swimmers who just want to improve their stroke, and also helped some triathletes complete their Ironman swim.